I decided to have a photo project going throughout 2015 – a blogging event, a monthly photo challenge. One time per month (on the 7th), I’ll be posting a gallery containing 10-20 pictures from Oslo’s city center. I’d like you to join me on this project: Find a location near your home, take somewhere between 5-20 photos and post them in a gallery in your blog. Continue to do this every month. For my project I’ve chosen the general area “downtown Oslo”, but if you like to, you can choose a more specific area like a park or a building. It doesn’t even have to be a city. If you live on the countryside, there’s probably plenty of locations to choose from nearby: a field with some trees, a beach, a mountain, or just a simple dirt road? It can be whatever. Just keep the project going throughout the year. Try to shoot every month, so that in the end of the year, you’ll have a nice and diverse set of photos in your portfolio. The idea is to capture all the changes: the seasons, the weather, different times of the day, some night photography perhaps? Also, the idea is to build your portfolio and train your eye. I shot the photos in my gallery in December and next month I’ll post a gallery with photos I’ll take this month (I haven’t shot them yet). Each month (I suggest between the 07th-15th, but it’s up to you), post 5-20 photos in a gallery. (I’ll post mine on the 7th). This entry was posted in Low-light photography, Street Photography, Winter and tagged #MonthlyPhotoChallenge, #TheChangingSeasons, 2015, Monthly Photo Challenge, Oslo, photo gallery, street photography, The Changing Seasons, winter photography. Bookmark the permalink. Lovely set of shots, Cardinal. Brilliant capture of the reflections in the water. Those kinds of shots always eclipse me. Then again, I stay indoors when it’s wet. From your photos it feels like there’s lots of life in Oslo during winter – maybe it’s the lights, or the everyone out and about enjoying the festive season. Good luck with the challenge. Looking forward to seeing more of your town this year. Thanks Mabel. It’s a good opportunity for me to show more of my city and this also forces me to go out there and shoot new stuff each month. Hopefully people will join the challenge, so that we get to see othe places too. That is a wonderful idea and one I am delighted to join in. I know of someone who shot the same place for 365 days and was fascinated by that. Well, now you give me the opportunity to practice and learn more. Thanks. And about your photos. It is magic. It is stunning. It is arty. It is your eye capturing beauty in whatever season and weather condition and making it an unforgettable image. It is always a pleasure to see your work. Thanks. Brilliant! I’m very pleased to hear that you’ll join my challenge. Great idea. I think I will join you on that. I was thinking about taking photos of a particular tree throughout the year, so the park this is in and the surrounding area would be a great subject. That sounds excellent Alastair! I once did a tree next to our old apartment, followed it through the seasons, but I wasn’t following it regularly, so I lost out on a lot of good shots / got some huge time gaps. Hopefully I’ll be able to. I may see if I can photograph the same tree from the same lamp post every week and see how that goes. Sounds like a great idea…. And an encouragement for lazy people, too. Anyway your shots are brilliant , I ‘ll go looking at them one by one in their full size , ASAP! Thanks. It’s an encouragement for me too: now I’ll have to produce. Neat idea Cardinal! I would love to join in, just need to think of a location. I love your shots, especially those 6 at the end, taken down the street between two sets of buildings, with the red sky – stunning. I’m glad to hear that you’ll join Desley! wonderful shots and a great idea. I will for sure join! You make me want to visit Oslo, thanks for sharing its beauty with us!! Thanks Paola. Contact me if you guys are coming and I’ll be your local tourguide. I can show you all those “secret spots”. These are awesome shots! Good job. Thanks a lot Mr. Moses. Gorgeous shots! I especially love the reflections in the puddle and the ghost ice skaters! Presume these are all using a tripod? May I know what gear you used? Sounds like a great event to join 🙂 Just need to think of the right location. Awesome that you’ll join! The more the merrier! For the ice skating shots I used the wooden railing (that you can see in one of the photos) for support. The others are shot handheld with my Canon 600D using my 24-105mm lens. 🙂 Wow, very sharp and noiseless images for handheld. For the skater shots, I’m curious what your shutter speed was. I chose long shutter speeds not only for the effect, but also to anonymise the kids in the photos (theoretically you’ll need the parents permission to publish photos of kids). An interesting challenge. I’ll have to think of two places as I am not in the same one all year. My post today might be a good place to start as Rockport Harbor is always changing. Two places is a good idea for you since you’re changing spots. It’s always nice with some changes. The harbor looks very nice and it’ll definitely be an interesting place to follow. The seasons by the water is just wonderful. Yes, a challenge that will make wonders for your portfolio – and hopefolly also make you look at things with a critical eye. I hope you’ll join Paula. I wish I had known sooner about this project. I’m not so hard on the rules, so you can always join later. Besides it’s pretty much up to you when you’ll post/how often you’ll post. Yes, I see what you meant, and you wanted it to be a surprise. I will think about it. A great idea and not too many rules. I will try to do this one too. Your photos are really amazing. Thank you Debbie. I’m glad to have you onboard. I didn’t want to clutter it up with a lot of rules. It’s never too late to join! Thanks for your contribution and thanks to your post I now know what a wombat looks like. Thanks Reb. Nalinki was the first one to join today. You can check out her post for inspiration too. I would so love to join in on this challenge, but with my backyard changing all the time, the only consistent scene is my boat, and that gets pretty boring to photograph after awhile. Still, I’ll watch this space to see what others submit and join in the fun when I drop anchor on a more permanent basis. Gorgeous winter scenery! Liked the second contribution too! Can’t wait to see the rest. Wish I could play! This challenge sounds quite interesting. I’m thinking about joining you. I’m doing a 365-Photo Challenge so not sure how it would work to do both of these, but to be honest, this sounds like a lot of fun. And by the way, your photos are beautiful! I’d love to follow your 365 photo challenge. Will you post those shots in your regular blog? Thanks Poppy. The wet streets helped to lift the rather boring scene. Oooh how exciting. Your photos are fab I can’t wait to see the changes. The last few pics in the gallery the Sky, lights create such a glorious show. I’m in on the challenge its fab and will prob do a spot in Richmond park. i am a bit late so we post the month we take ie now or wait until the 7th next month? I need coffee!!! Hi Justine. You can post your gallery whenever you want and when it suits you. If you want to post it this month, it’s fine. If you feel like waiting till next month, that’s fine too. I was thinking that it’s nice if people post their galleries around the same time, so I’ve suggested between the 07-15th each month, but the rules aren’t carved out in stone. thats greawt, trying to work out when i am on holiday and i spend three weeks at a pain clinic so wont be going anywhere then, looks like at least one month will be missed, gggrrr haha, odd working out posts for the entire year! Hehe, yes I didn’t think about the summer holidays. Hopefully I’ll be travelling somewhere, so that I’ll have to improvise a post with shots from somewhere. It’s fantastic news that you’ll join and I’m looking forward to see your photos. This is a wonderful idea and your shots are so beautiful – will follow along with great interest. Thank you Robyn! Feel free to join if you want to, but spectators are also nice. I tried a photo a day…too much and did not like prompts. I like what you are offering. Am going to try to do this one….here is hoping. Yes, a photo a day would be too much for me too. I would lose interest. Awesome. I’m looking forward to see what people come up with! Great idea! Really like the shots – love what you do with light. Thank you very much Richard. I’m glad to hear that coming from a great photographer as yourself. Awesome! It’ll be cool to see some photos from Germany! A project with a lot of potential. I’ve seen one in which a guy photographed the same tree by the side of a road from nearly the same vantage point every day for a year. I did something similar with the tree in the widget further up here. I didn’t shoot it every day, but I did take a lot of photos from the same vantage point over a long period. Thank you very much Alexandra. It’ll be fun if you’ll join. It doesn’t matter if it’s not regular. Sounds brilliant to me! The more the merrier! I went downtown this morning and captured some shots for next month. It was a heavy snow fall, so I definitely captured some nice ones. Didn’t I leave a comment here? I meant to! Just wanted say that I very much appreciate your idea and I’ll see what I can do to join in. Just got your pingback now. Excellent entry! Great idea, I would love to participate!! Fantastic. I’m looking forward to your entry! What a great idea, and an excellent set of images. I will certainly join in, am in the middle of moving home in Brussel so will need to have a think about where I take the pics first! Looking forward to your posts. Best of luck with moving homes! It’s a lot of things to organize! The widget is awesome. I see I have a few to check out here now 🙂 This is great! Like I’ve already written you: Beautiful and fantastic gallery! It’s great that you’re participating! Great project–a few years ago I started doing that from one of my windows, but didn’t keep at it. I’d like to join. Can we dive into the idea at any time? I’m thinking that I would start in February or March. Since I am closing in on my space limit of WP, I must decide what to do. Could we do up to 20 photos? That is, can I do 2. It’s really a space issue now. That will change, once I decide what to do. Thanks. Hi. Yes, you can dive in at any time and jump out whenever you want to. I’m not a big fan of too many rules! If you’re closing in on storage space, I suggest that you start a secondary blog and name it something similar like lensandpensbysally2015.wordpress.com. Then you can use that blog to upload media/photos and keep posting in your main-blog. Just keep all the media files in your secondary blog. You can also link images from flickr to save space. I worry that if I start a new blog that I will not be able to take my Followers with me. I’m not clear how that would work. Also I’m not sure about maintaining more than one site. My mission is to combine lens and pens. I do appreciate your thoughtful response. You start a new blog, but you don’t write anything in it: you only use it to store photos. You continue to write posts in your current blog, but the photos that you add is actually stored in your new blog. Let’s say you named your “new” blog like I suggested: lensandpensbysally2015. So, you’re not actually starting a new blog. You’re just storing your photos in a new blog. That’s fascinating. I truly appreciate the suggestion, and will give it serious consideration. The first two pictures are really original, I love the way you shoot them ! The reflection in the water is amazing !!! wow !! I also really like the colour of the last picture. Thanks for the wonderful compliments Darwin. It was a wet day which is perfect for capturing lights and reflections. I’m excited about this challenge. Seven entries so far. I’ve seen a project a bit similar, but on the very long term, it was a 365 days project. And the guy shot the same tree during these days and after, he made a video with all the frames. It was incredible. It’s a bit the same concept. We see a place, with different seasons and colours. It’s nice ! I hope you don’t mind that I have joined your challenge and posted a photo gallery on my blog. Your photos are beautiful and I can’t wait to see more. I am a novice but have found that I really like taking photos and am learning as I go. Thanks for coming up with this challenge idea. I do not mind at all and I think it’s great news that you’re joining the challenge! It’s early morning and I’m getting ready for work now, but I’ll have a look at your gallery later. What an exciting project Cardinal and look forward to following your change of seasons as they happen! Thanks Patti. Now there’s already 9 other bloggers participating, so you can almost follow the seasons around the globe. I would like to join you in this project if I can. I don’t mean “if I may” but “if I can” – it challenges me specifically because the place that I live shows less signs of seasonal change than most – we have no trees, for instance, so no buds to burst into leaf and no leaves to turn to glorious autumn colours. It intrigues me to see what I might come up with, and if I look more closely for changes if I might actually see more and notice what has previously gone unnoticed. I shall be taking the whole of my small island for my locale. Both blogs link back here. Thanks for joining Paula. I’m very glad that you joined. That park looks great and it’ll be an amazing place to follow. I thought so too 🙂 Tusen takk Cardinal! Amazing shots and love the idea. I am off on Friday so I may be able to squeeze some daylight time to go shoot and join the fun. 🙂 What an exciting challenge. Sounds like a great plan! I’m looking forward to see what you’ll come up with. All I could think after seeing your photos was how talented you are. They are just stunning. The reflection in the puddle is amazing. I may try to join this- interesting idea to see the same spot change. Just need to find an interesting place nearby! It’s great that you’ll join and thanks for the kind words. I didn’t know about this challenge till I saw Paula’s response this morning, Cardinal. It’s an excellent idea and your shots are superb. The second shot is my winner 🙂 You always have to be in just the right place at the right time, don’t you? Anyway, now, because of this challenge, I have to make sure to spend some time downtown with my camera, so I’m more likely to be at the right place at the right time. Yeah, it’s good that you’ve joined! You, Justine and Terri just joined one right after the other! This is a challenging idea. I just came to know 😦 Is it too late to join in ?? I haven’t even clicked anything. Or I can join on next 7th ?? Let me know. It’s not too late. You can join whenever you want. You can wait until next month, or you can post a gallery this month. I’d also like to join in but have missed the deadline for this month. I’ll jump on board in February. Thanks for initiating – it’s a great idea. Oh and by the way, your shots are beautiful. Michelle: you should add a link to your blog from your gravatar profile. Thanks for the tip. What will this mean for my blog? Sorry still a beginner in the land of blogging. Thanks Cardinal. I’ll do it now. I’ve just noticed that you’re not too hung up on the dates so I’ll post some photos over the weekend and that will be my date each month. Brilliant. I’m looking forward to see your post. Thanks Sonel. Feel free to join if you’re feeling inspired. Yes, I’m adding the links manually each time I get one. 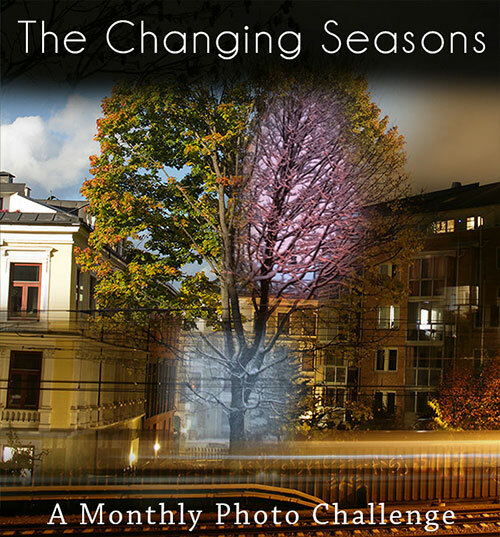 I’ve also added a filter in my WordPress reader where I’ve entered the tag “the changing seasons”, so that when WordPress bloggers tag their posts “the changing seasons”, it shows up in my reader. oh i didnt know you could do that, very nifty, hrrm, how did you do that? I’m planning to post a tutorial on it shortly. Beautiful photos and city! I love the idea of this challenge. Sign me up! Cool! I’ll be waiting for your post! It’s never too late. You’re welcome to join and I’m looking forward to your entry. I doubt whether to participate is publishing a post on my blog photo gallery , and their labels MonthlyPhotoChallenge and TheChangingSeasons . Only with that? Thank You. great idea! joining with pleasure. Fantastic. It’s great to have a non-wordpress blogger onboard the challenge too! Now there’s two bloggers that aren’t running on WordPress. I’ll have a look at and comment on your post later! Thank you very much for joining Michelle! I’m looking forward to see your park change. Thanks for the entry! Your shots are amazing! I will join you with the challenge even though my photos are amateurish in comparison. It will be interesting to see the changes of the season in the same places throughout the year. Great series of pics! Love this idea! Better late than never! And now I have a month to try and visit some of the other bloggers who have joined in with your challenge! Phew! I’m glad that you decided to join Jude. A lot of bloggers decided to join in. I know! I am spending all day reading everyone’s posts! Lovely Oslo! Great idea with the challenge! Hola Cardinal, Ayer colgué en mi blog (un poco tarde de fechas) una entrada con The Changing Seasons, y supongo que no lo he hecho bien ya que no veo que aparezca en tu blog. Podrías decirme qué tengo que hacer? Hola! Everything was correct. I’ve added a link to your blog. Thank you very much for joining! Sorry to insitiera , but I’m fairly inexperienced in using either the blog (and also in photography ) , and thought I knew pass it to your blog. I was sure I’d already added my “two cents.” I discovered this rather late, but I hope I’m not TOO late. Because it seems like such a great idea. We can all watch each others’ worlds change, month by month. Anyway, my ping back did not ping and my comment seems to have vanished without a trace, so here’s a link: http://teepee12.com/2015/01/22/bright-january-skies/ And thanks for always making pictures I wish were mine and hosting a challenge that will be fun for everyone. Sometimes the pingbacks doesn’t work, but I’ve added your blog to the list now. Thanks for joining Marilyn! Thanks for all the latest entries Marilyn, Viaja2, Colline, Serendipity and Jude (smallbluegreenwords). I’ll hopefully be catching up shortly! This monthly photo challenge is such a wonderful idea. Watching the changes in season and weather is going to be really interesting. Thanks Joanne. Excellent area you’ve chosen to show us. It’ll be fun to see the changes. Welcome aboard this challenge! Hi Cardinal Guzman! Is it too late to jump in? My friend, Joanne, just posted her beautiful shots of Scarborough Bluffs and I’m inspired. What a great idea. It’s so late in January maybe I’ll just start in February. Is that okay? Hi! You can start whenever you like. January, February, July, it doesn’t matter. It’s ongoing throughout the year and I’m just glad to have people joining. Very nice colors and perspectives! Man I just love these! Spectacular colors Max. Great photos of Oslo! Glad to join from New Amsterdam (or Amsterdam)! Hello and thanks for joining. It’s awesome to have New York represented in this challenge! I love New York! I’m still learning and do not yet have a proper camera, but thought I’d give it a shot. I’m not sure how it will work out to go back to the same area, but I will try. Love the idea of capturing the seasons through the photos!